A new report this week from the state Department of Education further breaks down incidents in schools to include “Harassment, Intimidation and Bullying” for the first time. With no previous number to compare against, the 617-student Barrington School District reported seven HIB cases in the 2011-2012 school year. Other districts in the region reported anywhere from zero HIB incidents (in Haddonfield and Runnemede) to 40 (in Bellmawr). Haddon Heights School District reported four HIB incidents. Across the state, there were 12,024 HIB incidents in 2011-2012, according to the report. According to a Philly.com report, there is a belief among some officials that numbers might be somewhat high because of zealous reporting on the new category. In previous years, districts were required to report violence, vandalism, weapons and substance incidents, but not bullying. Beginning with the 2011-2012 school year, all five categories had to be reported. In 2010-2011, Barrington reported seven “violence” incidents and one “weapons” incident. In 2011-2012, the district reported one violence case and one weapons case. 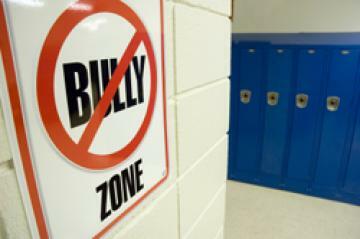 This entry was posted on October 4, 2012 by Barrington Bulletin in Safety, Schools and tagged bullying.